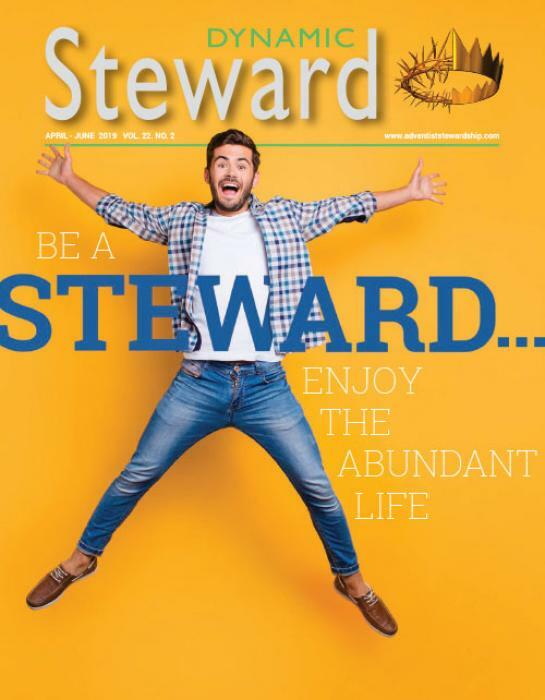 In the previous issue of Dynamic Steward, we discussed the importance and the necessity of clearly distinguishing between needs and wants when it comes to the elaboration of a personal budget. The next major step is to establish and follow basic rules that will allow you to use your budget as an effective and efficient tool. The encounter between Elijah and the widow of Zarephath (1 Kings 17:7-16) gives us some examples of the principles that could be used as the basis of successful budgeting. God tells Elijah to go to Zarephath where he will be fed by a widow. The irony here is that the widow who is supposed to feed Elijah didn’t even have enough for herself and her son. The only ingredients that she had were a handful of flour and a little oil, to prepare a last meal for herself and her son. However, even if Elijah was fully aware of this situation, he insisted that the woman make him a small loaf of bread. Without any hesitation, the woman did as Elijah said! There are three important principles that we can find here. Principle 1: Identifying the right use. Elijah asked for bread. He was specific in his request based on the ingredients available. He did not ask for something that could not be made from flour and oil. Principle 2: Knowing the right amount. Elijah specified that the bread needed to be “small.” Elijah’s request was based on the amount of flour and oil that were available. Principle 3: Having the right attitude. The situation of the widow did not influence her decision. She diligently did what she was asked as she relied entirely on God’s promise: “ ‘The bin of flour shall not be used up, nor shall the jar of oil run dry, until the day the LORD sends rain on the earth’ ” (1 Kings 17:14, NKJV). You can use these principles by turning them into rules that you should follow strictly. it does not allow you to take control over your expenses (your total income is the only indicator that you have). there is the tendency to neglect two important aspects of personal finances: God’s mission; Savings. To avoid such a situation, there are two elements based on the biblical principles of tithing that can be applied: The use of tithe is restricted; tithe is a specific percentage (10 percent) of your income. In other words, instead of considering your budget as one single bucket, you can divide it into several restricted buckets into which you can allocate a percentage of your income. For you to have a reasonable number of buckets, the best thing to do is to regroup the items that fall under the same category. The table below is an example of the different buckets you might have. The next question is, What percentage of your income will you allocate to these different buckets? Based on this monthly average of your “living expenses bucket,” you now know what percentage of your income you should allocate to this particular bucket. Based on the above example and assuming a monthly income of $3,500, the percentage in this case is 31 percent. The same steps should be followed to find the percentage for housing expenses or any other category that you may have. When it comes to “God’s mission bucket,” you already know that—per God’s instructions Himself—there is a minimum that should be respected. This minimum is based on the tithe segment, which is 10 percent of your income. Why is 10 percent a minimum? This is because God’s mission needs to be supported, not only by our tithes but also by our offerings (Mal. 3:8). Our offerings should also be a percentage of our income, an amount that each individual is free to decide without neglecting the counsel of the apostle Paul: “Each of you should give what you have decided in your heart to give, not reluctantly or under compulsion, for God loves a cheerful giver” (2 Cor. 9:7, NIV). The main purpose of having a “savings bucket” is to be prepared for any emergency that could arise. According to experts, an emergency fund should have at least three months’ worth of housing and living expenses, and, ideally, you should aim to reach this amount over not more that 12 months. If, for example, your housing and living expenses are equivalent to 60 percent of your total income, the equivalent for three months would be 180 percent of your income. Therefore, over a period of 12 months your savings should be one twelfth of 180 percent (of your income), which is equal to 15 percent (of your income). In other words, the ideal amount of your savings over the first 12 months should be at least a quarter of your total expenses and financial obligations (needs). The more your expenses are, the more you will have to save. If your housing expenses are equal to 35 percent of your income, and your living expenses are equal to 40 percent (total of 75 percent), the minimum portion that should go into your savings bucket will be equal to 75 percent divided by 4, which is 18.75 percent. * In this example, the percentage for offerings is assumed to be 5%. In this scenario your expenses are exceeding your income by 8.75 percent. Should you face such a situation, the immediate actions would be either to decrease your expenses or to increase your income. This form of budgeting keeps you from falling into the trap of focusing entirely on your needs, thus neglecting God’s mission and failing to save for emergencies. The widow of Zarephath literally put God first when she followed Elijah’s instructions and made a small loaf of bread for him. She knew that God would remain faithful to His promise, and indeed, “the bin of flour was not used up, nor did the jar of oil run dry, according to the word of the LORD which He spoke by Elijah” (1 Kings 17:16, NKJV). Budgeting requires trust in God, diligence, and thoroughness in both its elaboration and its implementation. Many people have started a budget but gave up along the way. The right attitude is to make this process a spiritual activity by setting and following the rules prayerfully and by always remembering that “the earth is the Lord’s, and all it contains” (Ps. 24:1, NASB). 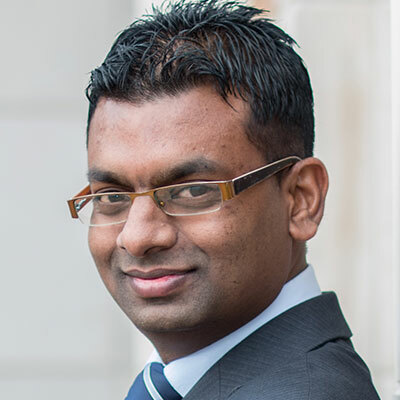 Murvin Camatchee, MBA, MDiv, is a native of the Republic of Mauritius. He is currently the lead pastor of the College Drive and The Ridge SDA churches in the Gulf States Conference, USA. Prior to coming to the United States, Murvin was the treasurer and executive secretary of the Mauritius Conference.